After several mixtapes and a litany of delays, Big Sean’s major-label debut comes in the form of a release that heartily declares the arrival of one of hip-hop’s promising young stars. However, despite all the accolades heaped upon him since his signing to G.O.O.D. Music, does Finally Famous deliver upon Big Sean’s bold statements and big declarations? Initial listens to the album make it clear that this is not only a mainstream release, but that big money was spent on the making of the project. The majority of the tracklisting is produced by Kanye West’s mentor, No I.D. — appropriate, given the Kanye-like beats and West’s own executive producer billing. 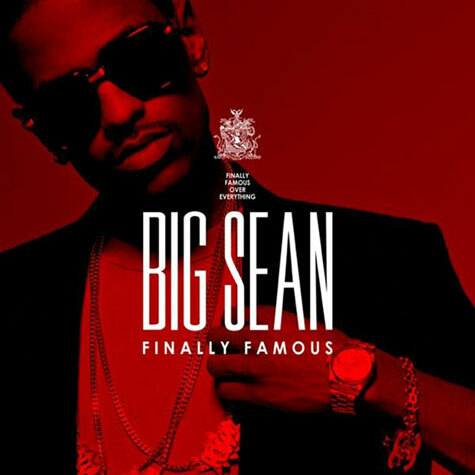 Even with glossy instrumentals, the hype behind Finally Famous revolves around Big Sean’s promise as the next great mainstream lyricist. In some respects, Sean lives up to his potential, as he offers witty punchlines in constructing verses of varying complexity. However, like many young MCs, Sean lacks consistency in his lyrical output, with these shortcomings buried beneath bolder beats and guest verses. Criticism aside, Finally Famous is a strong freshman effort, particularly compared to the uneven debuts of Drake and Nicki Minaj. While purists will claim that Big Sean’s best work thus far has been on the mixtape circuit, that doesn’t mean that we’ve seen his absolute best. Provided that the G.O.O.D. Music stable offers the proper guidance, there is no reason to believe that this young MC won’t grow into a veritable superstar. Verdict: 3.5 out of 5 (Good) — Strong debut with outstanding production and witty lyricism, but still had the potential to be greater. Agree? Disagree? Continue the conversation below in the comments section, or follow me on Twitter (@FranchiseSAYS). Pro Wrestling Performer & Broadcaster. #HouseOfMikado. Writer. Humorist.